A band of fresh-faced 21-year-olds may not be the average person’s most obvious source for life wisdom and spiritual depth, but the risk is worth the reward—at least with All Things New, the surprisingly insightful act just inked to BEC Recordings. On the surface, singer Garrett Hornbuckle, drummer Luke Wycuff, bassist Joshua Schou, and guitarist Jeff Stein are young, easygoing, and stylish: two guys met playing junior high baseball together and music runs in several of their families. But dig a little deeper and you’ll find godly men who know too much too soon about broken homes, broken faith, and broken hearts. 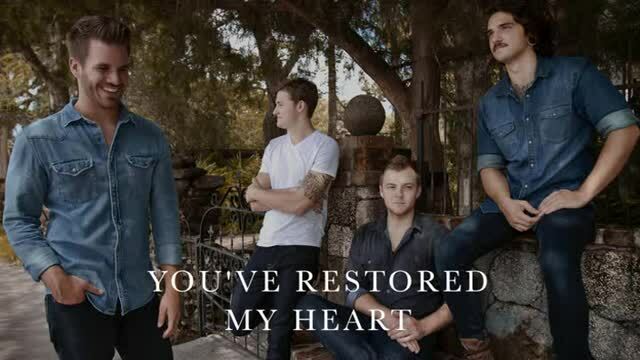 Although the members of this worshipful, contemporary, and often folksy Florida quartet could talk about their childhood like it was yesterday—because it practically was—the songs they write and sing on their self-titled debut album already contain the clarity of a hard-won life lesson: things break apart in this world, but God restores them. Jeff named the group with 2 Corinthians 5:17 in mind (Therefore if anyone is in Christ, the new creation has come) once the lineup was solid. The origins of All Things New date back to the guys’ mid-teen years as a six-piece outfit born from other Fellowship of Christian Athletes worship bands. Besides covering Hillsong and Chris Tomlin numbers, they started writing original music together in a way that fed Garrett’s childhood dream. “It turned into something special, and I had always wanted to be in a band that got a record deal, so I started to be the driving force toward that goal,” he explains. True to the essence of All Things New, the story behind the singer’s musical aspirations is duly redemptive. He was born in Nashville, Tennessee, but moved to Deltona, Florida, after his father—a country music song promoter—left the family. Garrett was two, he had a six-year-old sister, and his mom was pregnant with a third child. Chaotic times followed. A new stepfather was verbally abusive and emotionally vacant, leaving when Garrett was fourteen. His birth dad’s remarriage to a songwriter who penned hits for Jessica Simpson and Sara Evans provided more creative influence, but that union also dissolved. By high school graduation, Garrett’s mom was being evicted from their house, and his older sister was in prison for drug use. 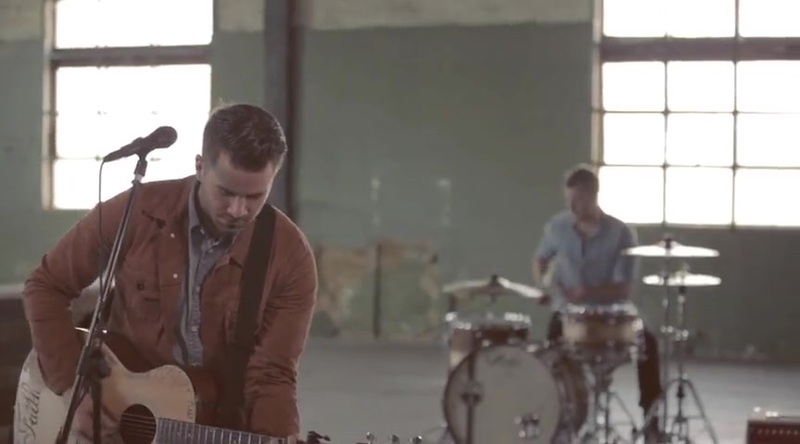 From those experiences, All Things New wrote its first single, “New Man,” a strong opening statement about how God creates beauty from ashes. Combining heartfelt vocals, muscular musicianship, and a graceful string section, the song grips listeners with a compelling force comparable to chart toppers like Tenth Avenue North. Even before the release of All Things New and the arrival of “New Man” at radio, Garrett has seen the power of restoration in his life. Today he stays in contact with all of his parents and former stepparents alike and is hopeful about his sister who is now in rehab. Indeed, All Things New is the strong sum of its unique parts. The four young men have experienced different lives but are very much on the same page with this first batch of songs they wrote together. And their stories shine through as they discuss the tracks. Luke and Jeff agree. Both grew up in the church and around music and relish this chance to combine those loves in All Things New. They wrote the banjo carrying, southern tinged “In Your Reach” together about an outcast kid Luke knew who was close to taking his own life before finding friends at church. The two also worked on “Lead Me Home,” another soaring musical moment that focuses on what my heart was missing all the time. He would know. Luke admits his faith was broken a few years back when his father lost his long-held ministry job at the same church he had originally planted due to leadership conflicts and mismanaged funds. It created animosity and division within their own family; some of his siblings kept membership there while others moved on. In time, his brother’s invitation to a Passion worship conference brought Luke back toward hearing God’s voice in his life. Furthermore, his father’s position with the church was later restored, and the journey with All Things New would soon gain momentum. Signing to BEC Recordings was a dream that came true sooner than expected. God was going about His redemption work, making all things new. Watch all things new music videos free online! Godtube.com also provides videos with all things new lyrics, singles, album information and reviews. Whether you're looking for an inspirational and encouraging song for your quiet time with God or an upbeat song to praise Jesus, Godtube.com offers the largest online database of Christian music artists!